If you think veggies are boring, just pick up a cabbage. 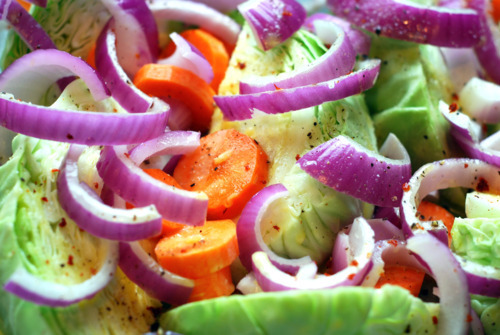 It may look like a humble vegetable, but there’s a myriad of ways to prepare it. Then again, we Americans came up with Cabbage Patch Kids, ugly cankled babies that were birthed out of fresh cabbage heads. No wonder so many of us didn’t eat our veggies while growing up in the 1980s. I’m proud to say I never owned one of those monstrosities (unlike someone I know), and happily munch on cabbages with relish. 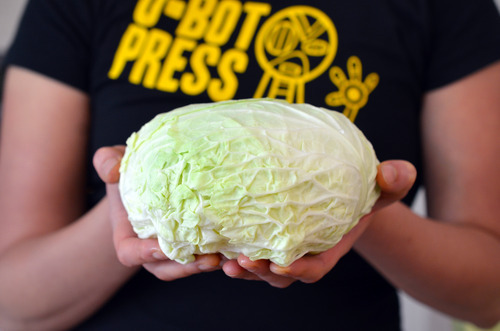 Wanna see how you can slice and dice a cabbage into something spectacular? Cabbage is ridiculously versatile: you can pickle it, braise it, stir-fry it, or julienne it for slaw. It tastes just as wonderful when it’s crunchy and raw in the form of sauerkraut as it does when it’s meltingly tender in a soup or braise. Plus, it’s affordable and comes in lots of fun and colorful varieties. I prize Savoy and Napa cabbages for their crinkly leaves and subtle flavors, and red and green cabbage add a wonderful visual contrast to any dish. It ain’t just looks, though. 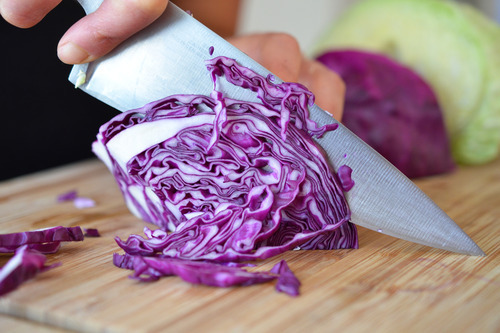 Cabbage has a pretty impressive ANDI Score of 481 – not as high as kale and collards, but definitely more nutrient-dense than broccoli (376) and cauliflower (295). 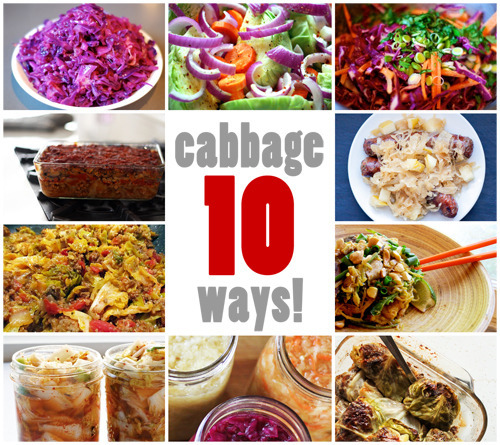 Is your stomach rumbling for cabbage now? 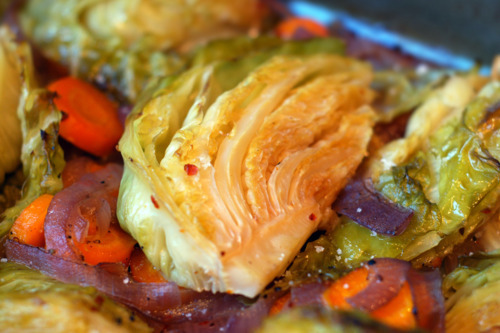 World’s Best Braised Cabbage: I posted this recipe in the early days of this blog, and it’s been a favorite ever since. 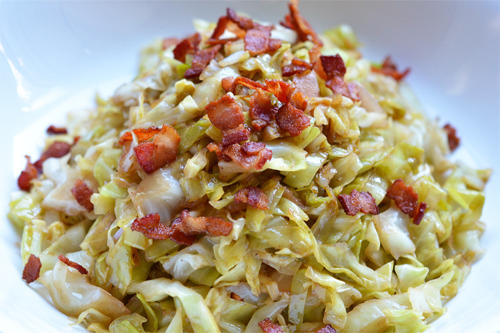 Make this dish, and win over your toughest cabbage critic. Chez Panisse Braised Red Cabbage: The combination of sweet apples, tangy vinegar, duck fat, and cabbage is heaven. 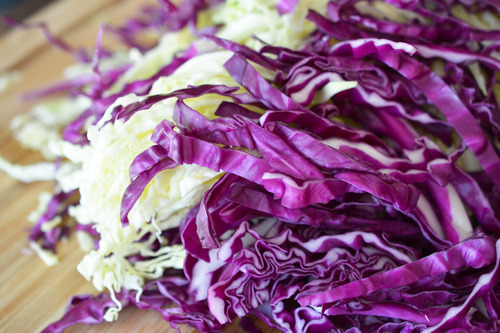 Red Cabbage Slaw with Tangy Carrot Ginger Dressing: A quick side for any protein. Health-Bent’s Unrolled Cabbage Casserole: Ingenious. Crankin’ Kitchen’s Polish Cabbage Rolls: A perfect weekend dish. Diane Sanfilippo’s Sauerkraut: So good (and good for you)! Paleo Parents’ Halupki Stirfry: A simple, yummy take on a traditional dish. Tell me: How you do like your cabbage? Looking for more recipe ideas? Head on over to my Recipe Index. You’ll also find exclusive recipes on my iPad® and iPhone® app, and in my cookbook, Nom Nom Paleo: Food for Humans (Andrews McMeel, December 2013)! Previous Post: « Whole30 Day 9: Soup’s On!